Discussion in 'Collaboration' started by MartinDubravicky, Mar 20, 2017. 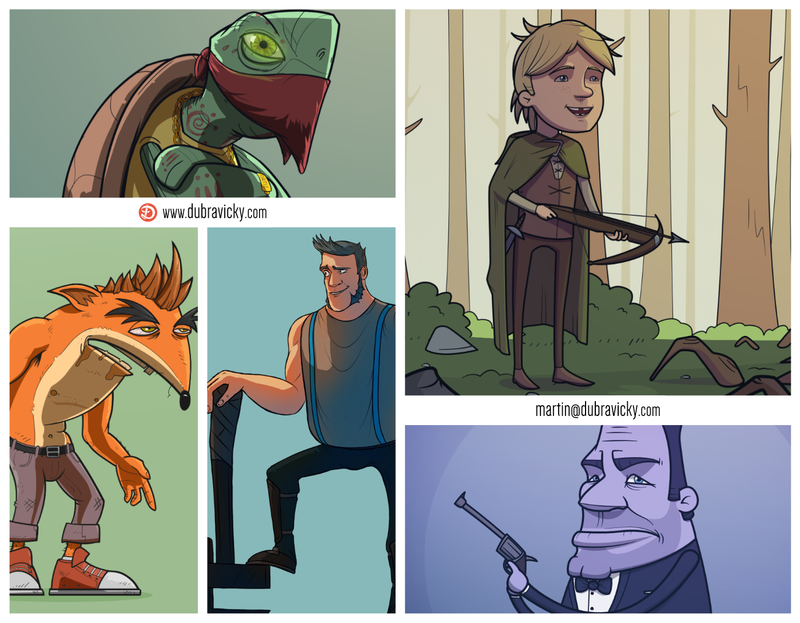 My name is Martin Dubravicky and I'm a character concept artist (Toon & Stylized) with 2+ years of experience. I'm currently seeking new clients. You can find more on my website at dubravicky.com. If you're interested in hiring me or have any questions, feel free to contact me at martin@dubravicky.com. mamacato, TheSnidr, MAJOR MINOR and 2 others like this. Currently available for more work! Some awesome stuff! Do you animate too? A little bit, shoot me an email and we can talk! Nice Character! Did it become a game? Thanks! As far as I know, the game is still in development. @MartinDubravicky Do you have additional work we can view? Hi, you can find my portfolio at dubravicky.com.